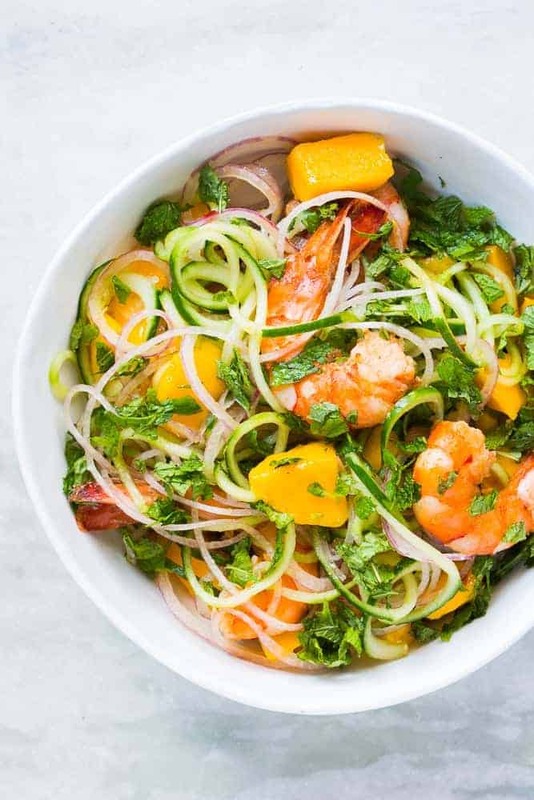 14 Summer Salad Recipes that fill you up without weighing you down! 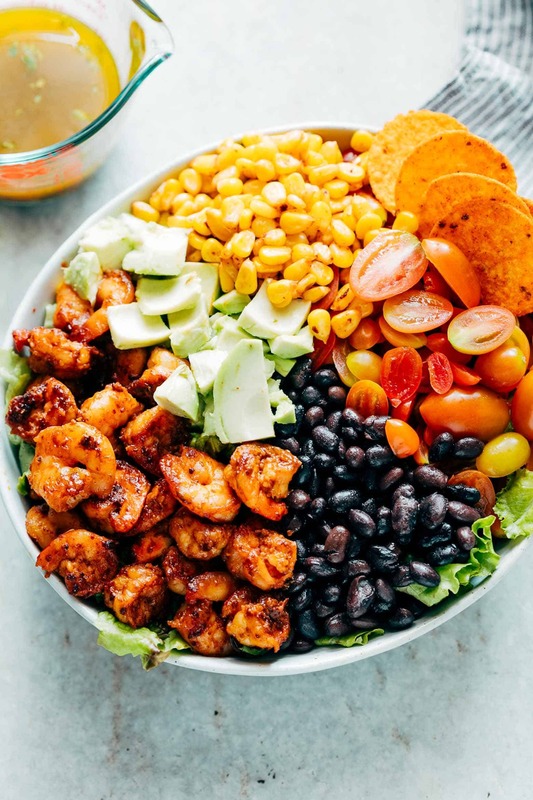 This Salad Recipes roundup is all you need to battle the heat while still eating healthy. And I don’t mean eating bird seed healthy, but flavah-bomb salad recipes that are meals-by-themselves! Believe me guys, I’m not that big on salad recipes. No really, give me a big bowl of Chinese Cashew Chicken Noodles Stir Fry or Restaurant Style Paneer Butter Masala and I’m your girl. But the temperature and my waist size keep going up and who’s going to bring them down? Me and my best salad bowl, of course! That’s right, these salad recipes have great responsibilities. They have to be healthy. Not wilted-lettuce-dressed-up-with-fatty-mayonnaise healthy, which is not healthy at all. But “aah-the-good-stuff” healthy, loaded with veggies and proteins. They have to taste good, without pouring in those high on calories salad dressings . And they have to be filling, because nothing’s worse than a salad lunch that leaves you reaching for that bag of chips in two hours (yes, guilty as charged!). I know, it’s like I have an impossible set of demands. But guys, these salad recipes take their responsibilities very seriously! Each one is a wholesome meal. So no spending time making anything else. And they taste soooo good they put your cravings to rest! I’m serious, just take a look at them guys! 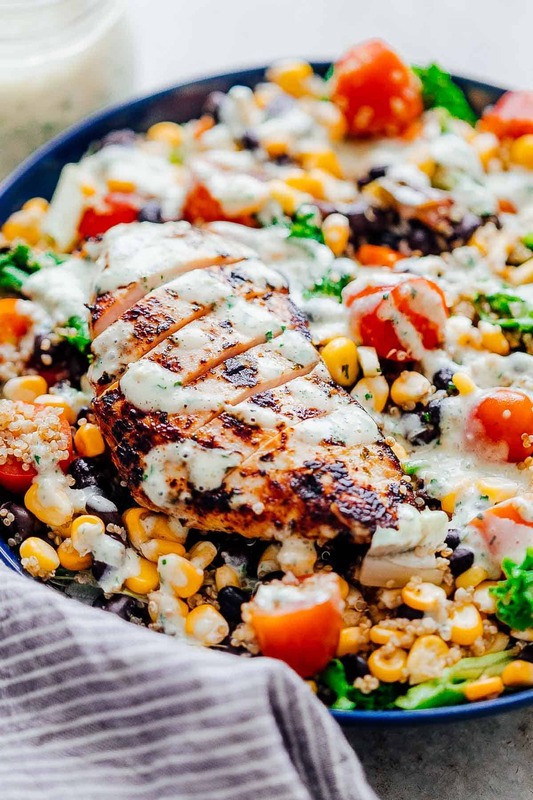 This is one of those healthy salads that fills you up with all kinds of goodness – Chicken, Corn, Quinoa, Black Beans and Tomatoes, while offering two kinds of salad dressings – a Cilantro Lime Vinaigrette and a light but creamy Southwest Salad Dressing made with greek yoghurt and sour cream! 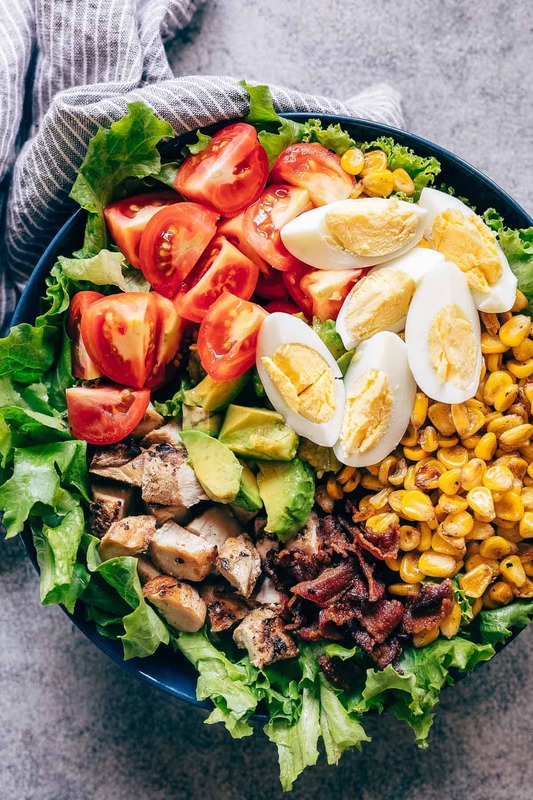 Cobb Salad is one of those salad ideas that gets me super excited – it’s got all those green healthy salad things like lettuce, avocados and corn and then in comes all the eggs, grilled chicken and soul-satisfying bacon, topped with a lip-smacking Avocado Blue Cheese Dressing (this salad dressing recipe is proof that rich satisfying taste is totally possible with even the healthiest ingredients). This hearty healthy salad is a departure from typical taco dinners. Taco seasoning and my favorite cilantro lime dressing gives it all those irresistible tex-mex flavors and the grilled prawns cook so fast that dinner’s on the table in less than 30 minutes! 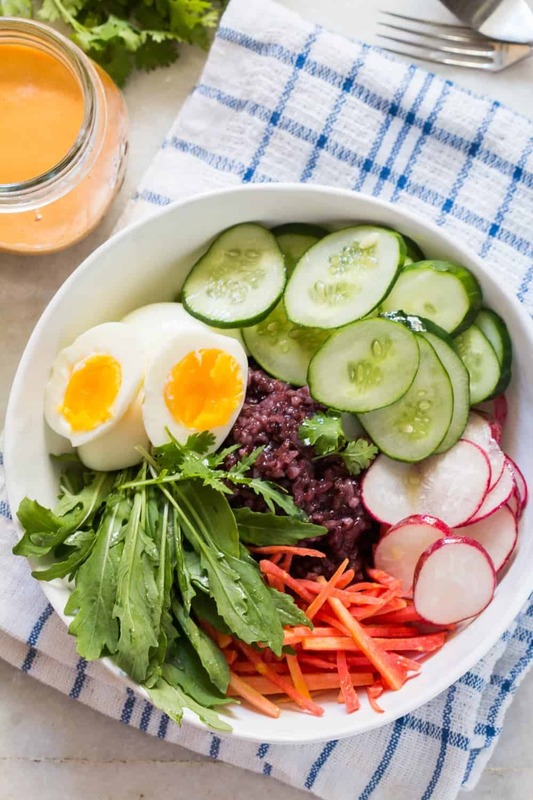 Spiralizers make even the best salad recipes a lot more fun, as I discovered with this refreshing Thai-food inspired salad that replaces rice noodles with spiralized cucumber for some gluten-free, low-carb, veggies-loving goodness! 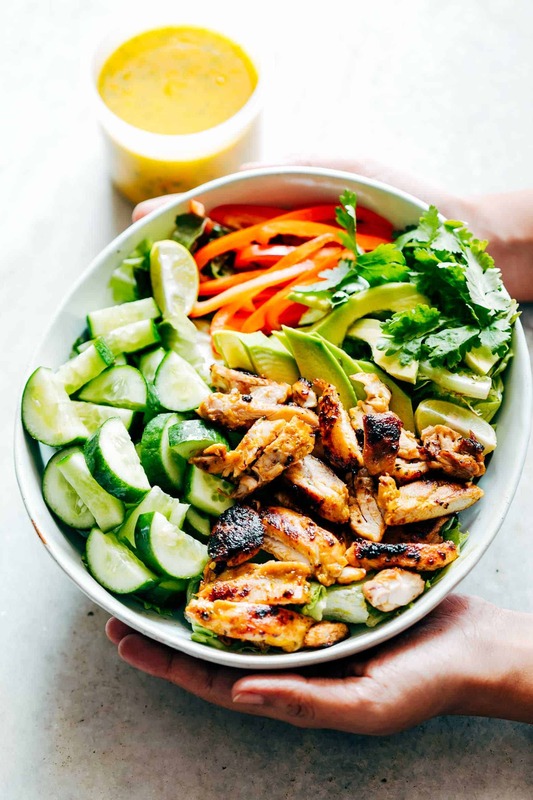 The amaaazing Mango Cilantro dressing doubles up as the marinade for the grilled chicken in this summer salad recipe. It’s got all the other summer favorites like cucumbers, avocados and bell peppers too, keeping us low-carb and gluten-free! It’s a salad idea that keeps on giving. 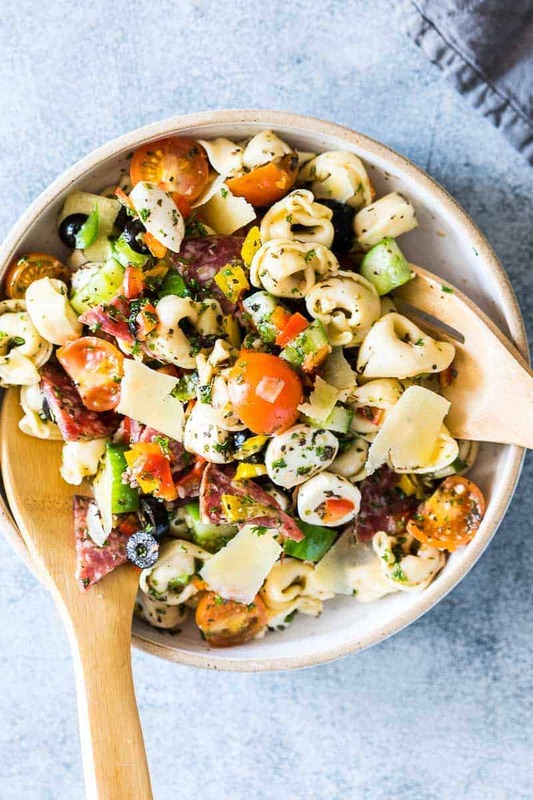 Toss up the pasta salad with an Italian herb and red wine vinaigrette and refrigerate for a few hours. The flavors steep in and make this refreshing pasta salad recipe an absolute winner! 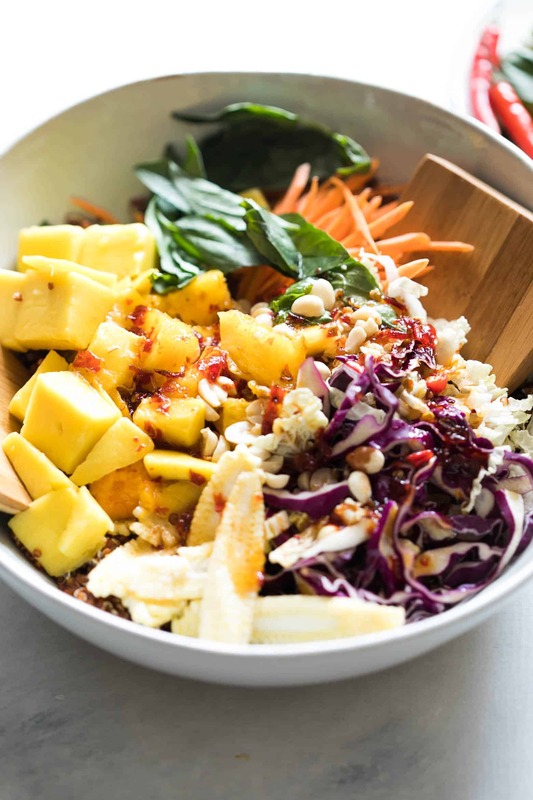 Taking a cue from all the healthy food recipes out there, this make-ahead tropical peanut mango quinoa salad is vegan and #glutenfree. And it has the best ever salad dressing recipe with a sweet and spicy sambal oelek flavor! 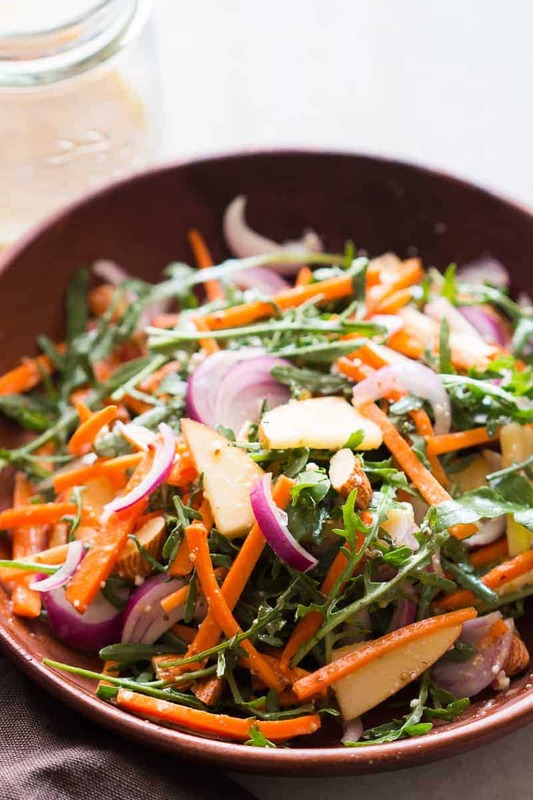 You’ll never think eating clean can taste so good until that first bite of this sweet, sharp, spicy and crunchy salad with the bitter orange marmalade dressing. And then you’ll be a believer, just like me! Heirloom black rice should be the star of all vegan salad recipes – it’s nutritious and high-fibre and it adds an unforgettable nuttiness, colour and flavor to this salad bowl! Combine it with the spicy peanut sauce dressing and you’ve reached salad heaven! 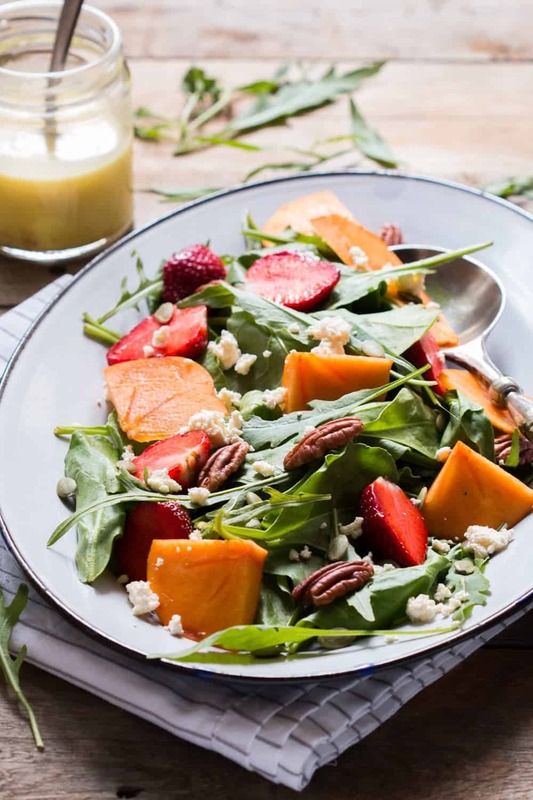 This is one of those salad recipes that’s sweet, sharp, spicy and bitter all at once, because well , persimmons and strawberries people! Who can resist that flavor combo, especially when balanced with homemade ricotta? Salad ideas that celebrate fresh produce is the best thing about summer, and the baby spinach and heirloom tomatoes in this healthy salad bowl will have you nodding your head between huge forkfuls of yumminess! And the burnt garlic salad dressing recipe – liquid gold! Put together crisp lettuce, sweet apples, soft cherry tomatoes and crunchy walnuts with a fabulous honey mustard dressing and you’ve found yourself a keeper for the summer lunches ahead! 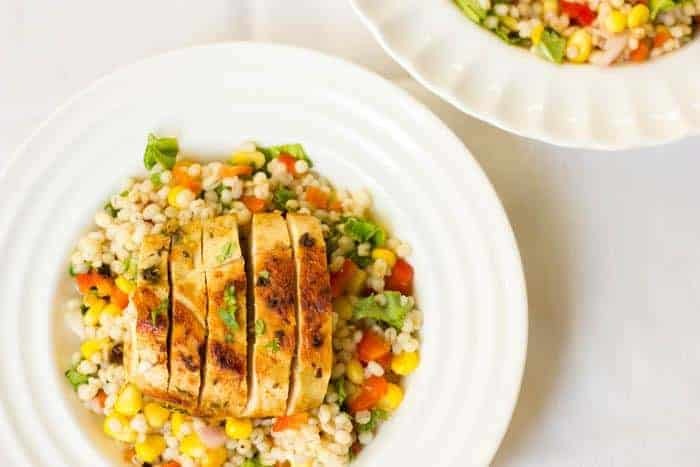 Barley is a surprise addition to typical chicken salad recipes, but I’m not complaining, cos it’s one healthy grain! Toss it all up with this addictive herb vinaigrette and you’re all set for lunch or dinner. So what do you think of these salad ideas, guys? Which ones will you make this summer? I’ve got also got these 5 ideas for building your own healthier salads. So we’re not going back to high-calorie salad recipes and store-bought dressings ever again! Such a useful post. Contains very useful info. Thank you for sharing the awesome Salad Recipes. Since I am a Vegetarian… can you recommend what can I replace the chicken with. Hey Darshana! In most recipes, you can replace the chicken with alternatives such as tofu, paneer, potatoes, sweet potatoes. Or you could just leave the chicken out entirely. I hope you try some of these!